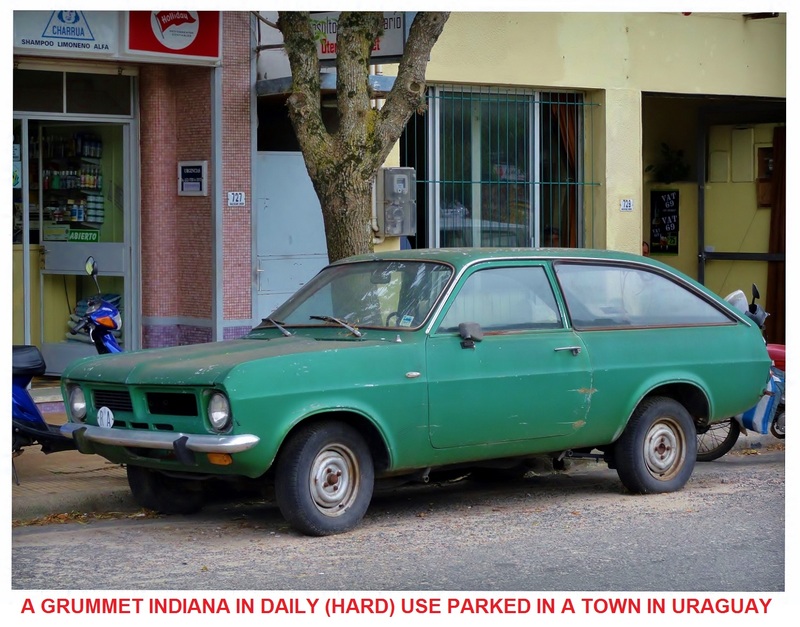 The Grummet Indiana was another "nationalized" curious mix from the Grummet stable in Uruguay. 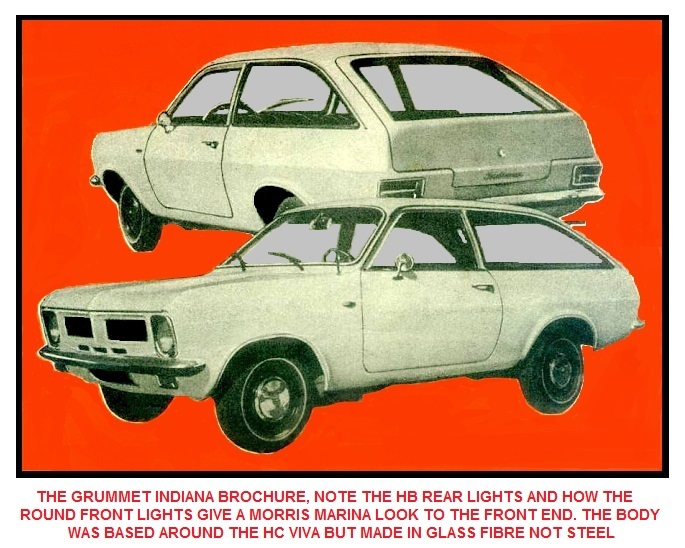 As with all Grummet products the body was manufactured in glass fibre and based around the design of the Vauxhall Viva HC Estate 3door. 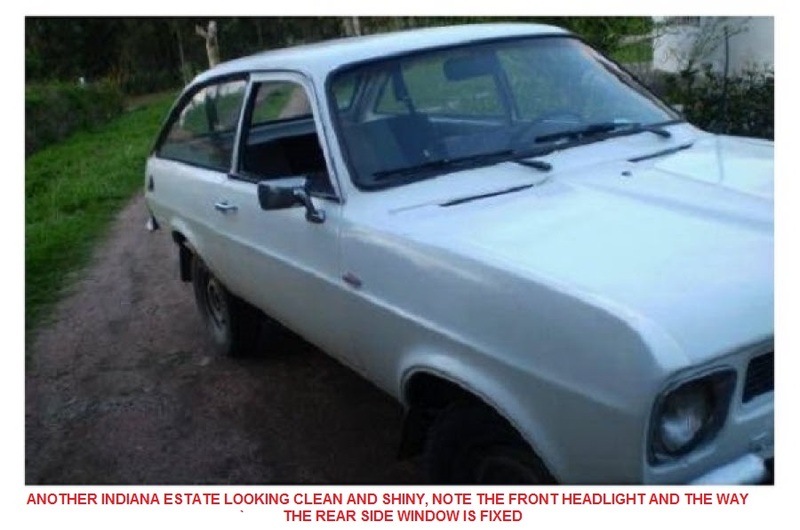 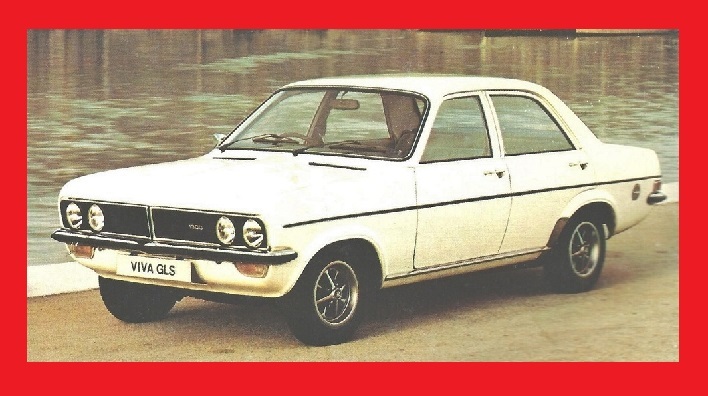 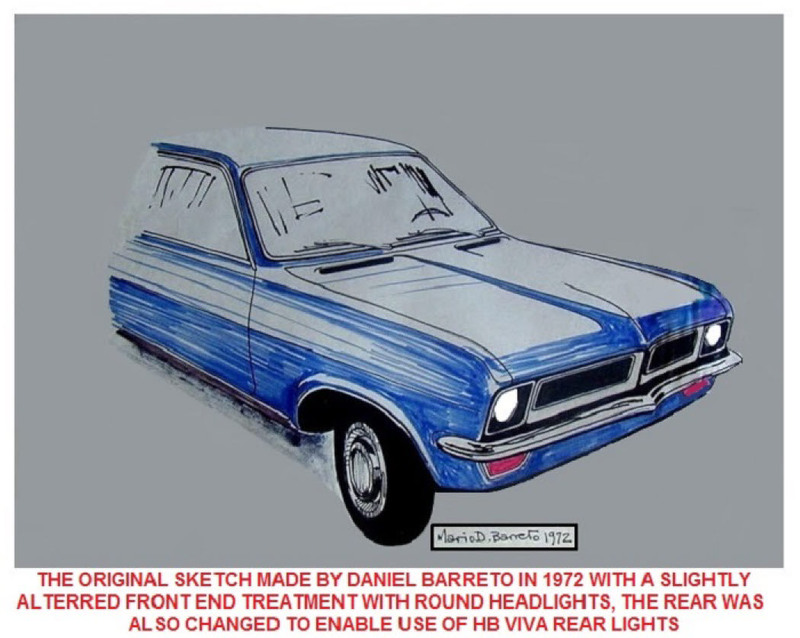 There were, however, some design variations penned by Daniel Barreto in 1972 - these included a different front grille treatment with round headlamps and, rather strangely, Viva HB rear light units and unique front and rear bumpers. 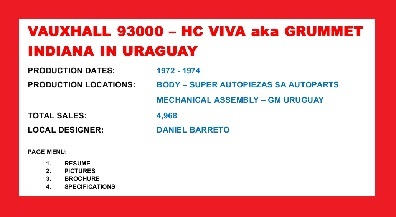 The car was fabricated in two separate assembly plants. 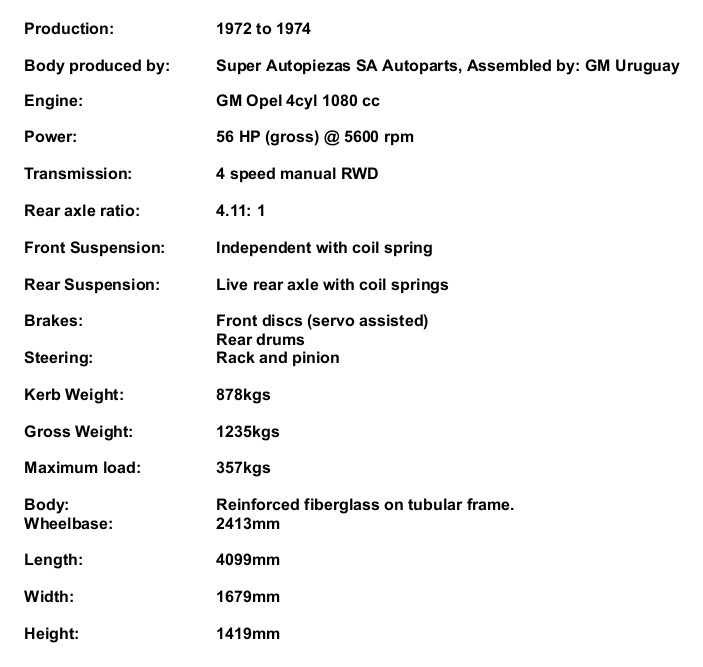 The glass fibre bodywork was fabricated at the Super Auto Paysandu Street plant and then sent away to GM Uruguay to have some crummy old Opel mechanical components fitted, unfortunately these were from the second generation Grummet SL Pick Up which was based on the Opel Kadett B, the problem was not only was it rather underpowered but the wheel track front and rear was about 4 inches too narrow giving the car an ungainly almost comical look as if the body was too wide - which of course it was when compared to the original Vauxhall Viva HC.